With this little task called „Bunnies & Guns“ you will train your brain. To ease you in, start off by just practicing with your hands. 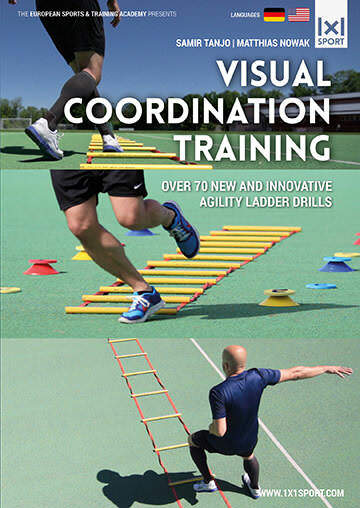 Later on you might be able to include steps and the agility ladder. One hand shows the V sign (bunny) while the other hand’s thumb and index finger form a gun. Now you’re trying to switch between bunny and gun without making mistakes. If you master it, try it while working with different steps and/or an agility ladder. This will get your brain working and in the end you will be much faster and more creative as an athlete. Try it, it’s fun.